A new study funded by the National Science Foundation's Paleoclimate Program and published online this week in the journal Science reports that the rate of global warming from the doubling of carbon dioxide in the atmosphere may not be as severe as some other studies estimate. Andreas Schmittner is an Oregon State University researcher and lead author on the Science article. The National Snow and Ice Data Center defines climate change as "a significant change (such as a change having important economic, environmental and social effects) in the mean values of a meteorological element (in particular temperature or amount of precipitation) in the course of a certain period of time, where the means are taken over periods of the order of a decade or longer.." Climate change today is synonymous with global warming. Within the scientific community, global warming refers to increases to surface temperature, while climate change includes global warming and everything else that increasing greenhouse gas amounts will affect. The study notes that its findings is even less severe than the one projected by the 2007 report by the Intergovernmental Panel on Climate Change (IPCC) report in 2007. The IPCC report of 2007 estimate that the Earth's surface would warm by 2 to 4.5 degrees Celsius. The mean, or "expected value" increase in the IPCC estimates was 3.0 degrees. Most climate model studies use the doubling of carbon dioxide as a basic index. 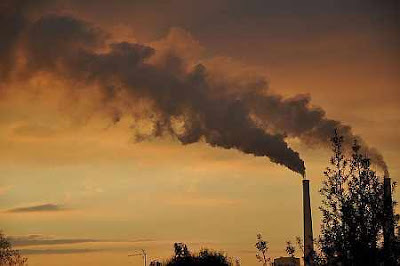 Some previous studies have claimed much more severe impact with as much as 10 degrees or higher with a doubling of CO2. Although these projections come with an acknowledged low probability. Video: What is climate? What's the difference between climate and weather? What are greenhouse gasses? Schmittner's findings based on their data reveal a climate sensitivity of about 2.4 degrees using the basic index. Climate sensitivity is how the Earth will respond to projected increases of carbon dioxide in the atmosphere. He says that, "Many previous climate sensitivity studies have looked at the past only from 1850 through today, and not fully integrated paleoclimate date, especially on a global scale,"
Schmittner adds, "When you reconstruct sea and land surface temperatures from the peak of the last Ice Age 21,000 years ago -- which is referred to as the Last Glacial Maximum -- and compare it with climate model simulations of that period, you get a much different picture. If these paleoclimatic constraints apply to the future, as predicted by our model, the results imply less probability of extreme climatic change than previously thought...". As an example, the study suggests that the ocean was only about two degrees (Celsius) cooler then (21,000 years ago) than it currently is. But this also shows how much a small change in ocean temperature can affect other places elsewhere. Video: What is climate change? Although the findings do show a lesser impact than expected, climate change is still a serious issue that should be addressed. Schmittner says, "...our study implies that we still have time to prevent that from happening, if we make a concerted effort to change course soon.". At this time, there are a lot of emerging technologies targeted to reducing the carbon footprint of the Earth such as eco-friendly vehicles, processes, alternative energy, and even far reaching ideas. Climate Change and Global Warming is a very controversial issue when it comes to studying Earth. Environmentalists have long been fighting for this cause but because of political and industrial agendas, there has been a resistance to the idea of global warming. This is a lengthy video by Dr Richard Milne, School of Biological Sciences about separating skepticism from denial regarding climate change and global warming. But it should not be denied that everyone on Earth must do their part in being aware of how to care and protect the planet.